HUGE $3.50 Kid’s Sandals Blowout + Melissa & Doug Toys $6.70!!! 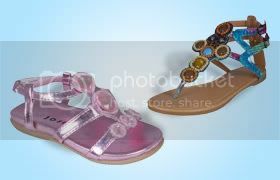 HUGE Kid’s Sandals Blowout: ALL Sandals $3.50 + Melissa & Doug toys $6.70! Totsy has HUGE sales right now, including a HUGE Sandal blowout with ALL SANDALS priced at $3.50! You can also grab Melissa & Doug toys starting at $6.70! If this is your first order at Totsy (and if you signed up within the last 30 days), you will get FREE SHIPPING! To see these offers and more, CLICK HERE!! !